Two weeks ago I woke up excited, knowing that it was the day that Joanna and Josh were going to welcome their little boy into the world. I already had a text on my phone saying that things were moving along at a good pace so I hopped out of bed (carefully, so I wouldn't wake my own sweet Ellie bean) to get ready. I folded a load of laundry, got dressed, made sure my camera gear was by the door, and rounded up Ellie's things to take to my parents' house. Around 10am I got another text saying things were still moving along so I went ahead and made plans with my mom to drop Ellie off in a bit. 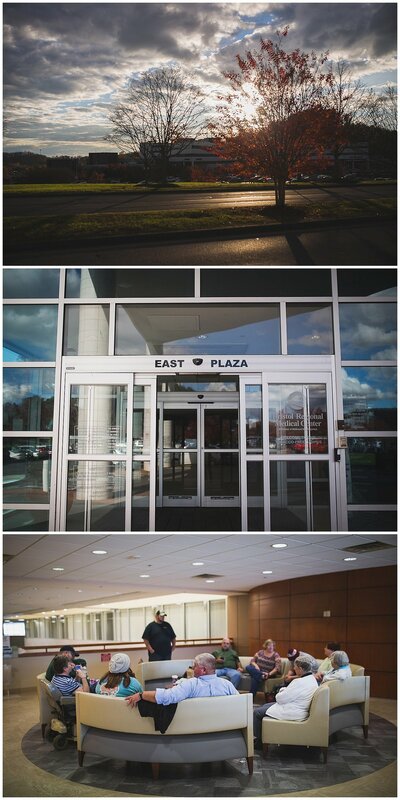 After taking care of a few other things, I dropped Ellie off and headed toward Bristol at 11am. Now about this time I got a text saying things slowed down a bit so I took the opportunity to get some Christmas shopping done...I love that there is a great shopping center and Chick-fil-a right across from the hospital! A few hours later I finally headed over to the hospital once things got moving again and I was greeted by a very crowded waiting room full of excited family members! Now let me tell you, Joanna told me that they had a big, close-knit family but I was not quite expecting this many people! Moms, dads, aunts, uncles, cousins, grandmothers, and everybody in between and they were all wonderful! Once I went back to check in with Joanna, I walked into a dark, quiet room to see her peacefully resting, just letting her body do the work. She was the sweetest, most kind laboring mama. I just hung to the side like a fly on the wall for a bit. When the doctor finally gave the word that it was time to push, the room came alive with a feeling of excitement! Joanna was steady, focused and calm as she worked to bring her boy into the world. Josh was right there by her side, quietly encouraging her with subtle smiles and a strong hand to hold. 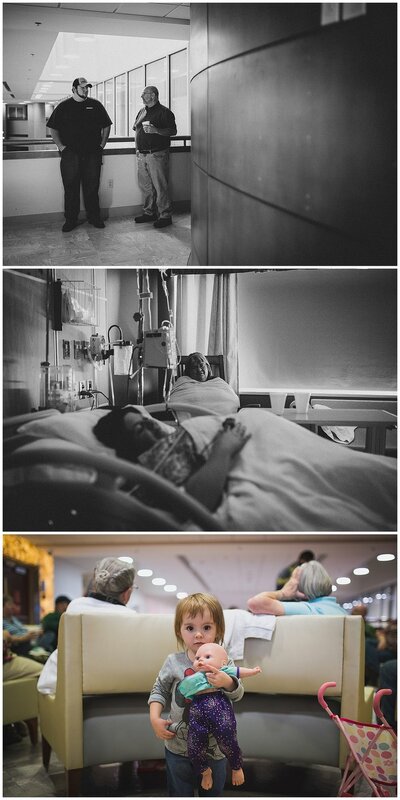 Seeing little John Abrom be born into such a wonderful family was the most exciting moment of my life as a photographer. The fact that God created a woman's body to grow a little baby and to birth them with such strength and grace is beyond me and it has me in such awe of our Creator. Joanna + Josh, thank you thank you thank you! 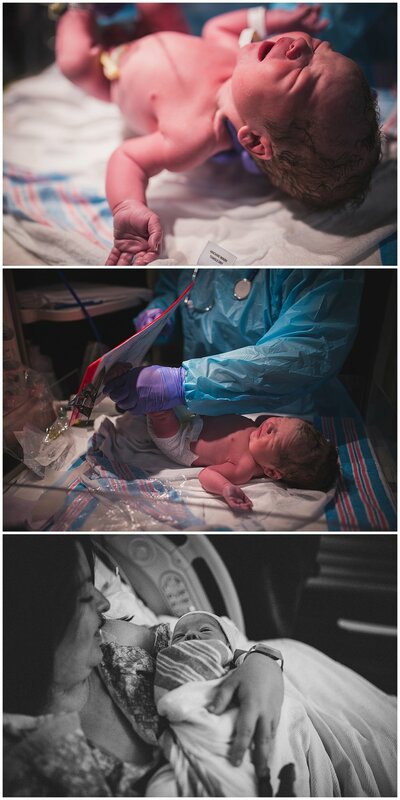 I am so grateful for this opportunity to capture the moments of your sweet boy being born into your family. Thank you for trusting me and for being my very first birth clients! I have loved getting to know you and seeing you transform into a mama and Josh into a dad. You were both amazing! Happy 2 weeks, John Abrom! You are so loved!